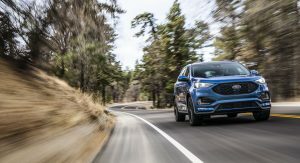 Ford Performance’s move to add a sporty ST version to the revised Edge lineup is a bold one, with the company sharing more information on the new Edge ST’s technology and why it’s a proper fun-to-drive SUV. 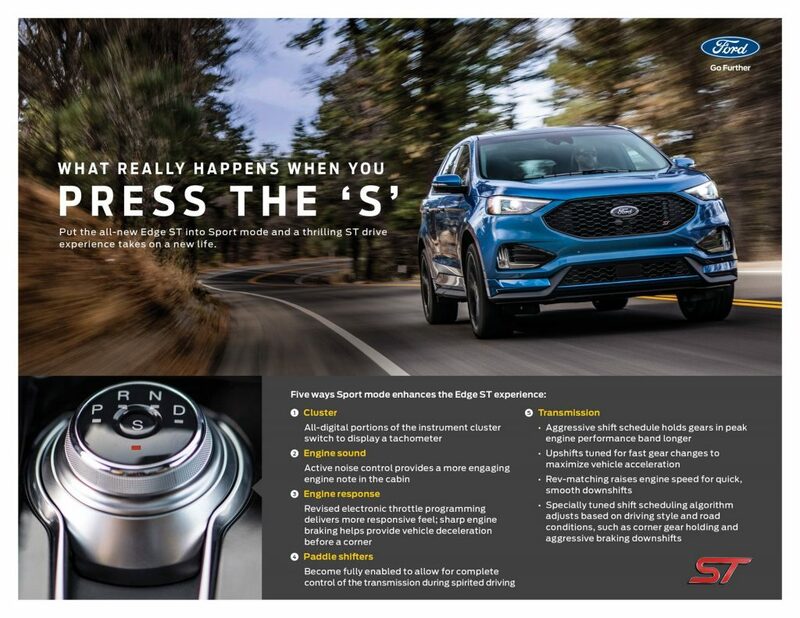 The new 2019 Ford Edge ST will come with a new advanced ‘Sport’ mode, enabled with the push of a button on the transmission dial. 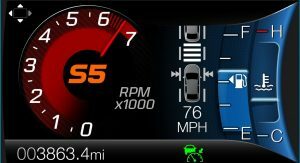 Press it and the Edge ST will enhance the driving experience with things like setting the transmission into a more aggressive shift schedule that holds gears for longer and faster upshifts, enabling rev-matching feature for smooth downshifts, sharpen the engine response, switch to a dedicated display of a tachometer in the instrument cluster and provide a “more engaging” engine note through the active noise control system, among others. 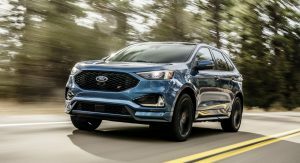 The 2019 Ford Edge ST will be powered by a twin-turbo 2.7-liter V6 EcoBoost engine with 335hp and 380lb-ft of peak torque. 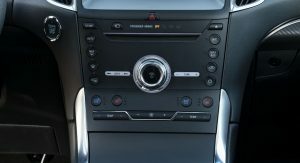 A quick-shifting eight-speed automatic transmission with paddle shifters on the steering wheel will be the only option. 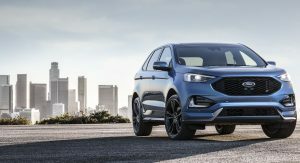 Ford will offer the Edge ST with the Co-Pilot 360 suite of driver-assist technologies as standard. 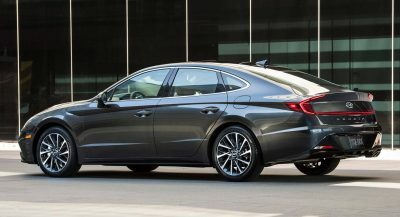 The suite includes systems like lane keeping, automatic emergency braking with pedestrian detection, blind spot information and more. 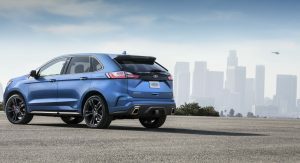 The chassis of the 2019 Ford Edge ST has been upgraded with new suspension, bigger brakes and bigger wheels. 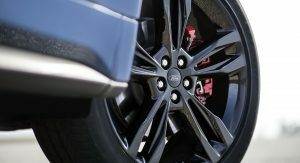 A set of 20-inch alloys is offered as standard, with 21-inch items being an option. 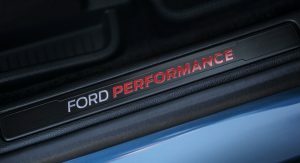 Ford will also offer a Performance pack as an option, which adds stickier summer tires, red brake calipers with performance pads fitted, performance-oriented front rotors and a new dust shield. These things are all nice, but will it have better, more responsive steering than the current one? Carbon buildup near the valve? Rod bearing at 8,700 miles for me. All new engine that proceeded to fail about 1,200 miles later. Never found out what that was because I threatened a lemon law case and they bought it back. Ahhhh.. nice. : / The indy mechanic that does most of the work on my cars warned me about these Ford turbos ‘eco’… said he’s seen too many of them with valve related buildup issues at fairly low miles. In his opinion it’s a common issue with eco-whatever engines… but he said the repair work does help pay his bills. 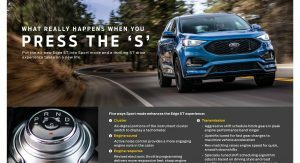 Still waiting on the rumored Explorer ST.
Um, so the Sport mode will do what every other Sport mode does? -and they all got their way! Octagonal grilles are really ugly. 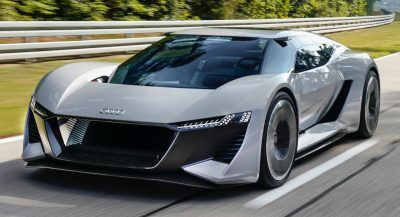 I think the only one I’ve liked so far was the one on the Audi e-tron Sportback concept. 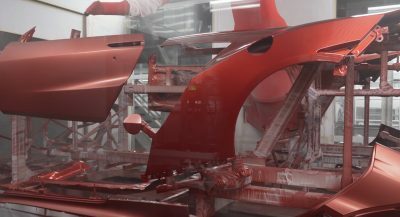 While I would never call it “pretty,” it looks a heck of a lot better than the gaping catfish maw they stick on everything from the Fiesta to the Fusion. And I love that special place foe my iPhone, perfect place, clever! Ford Edge always looked fat. I was hoping for a more drastic, evolution. Like when girls wear dress with black down sides. Twin turbos will spike the speed and price on this Sport editions . I really want to test drive this puppy. Could be my next car. Agree about the eco-boost turbo warnings. Gear heads in my circle know how to correct/improve the carbon build up issues. I’m going to have to start listening to them. Previous PostPrevious What’s Your Favorite Movie Car?